As part of the ongoing compliance regulatory obligations, all private limited and public listed companies incorporated in Singapore are required to hold their AGMs in accordance with Section 175, Section 197 and Section 201 of the Companies’ Act. Understanding the statutory requirements that your company has to meet will be important in helping you prepare, anticipate and ensure that your company is able to meet the statutory deadlines in time. With the Accounting and Corporate Regulatory Authority (“ACRA”) ramping up its scrutiny and enforcement of errant companies and their directors, it would be prudent for companies to ensure that they do not default on these requirements. What are Section 175, Section 197 and Section 201 of the Companies’ Act? A company’s AGM should be held within 4 months after FYE for listed companies and within 6 months for any other company. 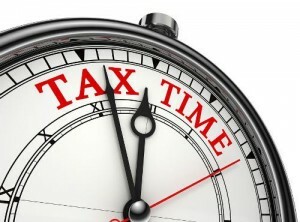 The company’s Annual Return should be lodged within 5 month (if listed) after FYE and 7 month (if not listed) after FYE. Do note that public listed companies have to oblige by the statutes set out in the Companies’ Act and the relevant Mainboard listing manual or Catalist listing manual, depending on which one they are listed on the Singapore Stock Exchange Securities Limited (“SGX-ST”). Therefore, their requirements may differ. The financial year end of your company. Depending on these factors, your company and employees can pre-empt when they should start preparing documents and ensuring the company’s accounts are finalised. For example, knowing that the company’s AGM should not be held more than 6 months from the financial year end means that auditors should be triggered to start their audit within 2 to 3 months from the company’s financial year end. My company is an exempt private company (“EPC”); am I exempt from holding an AGM? 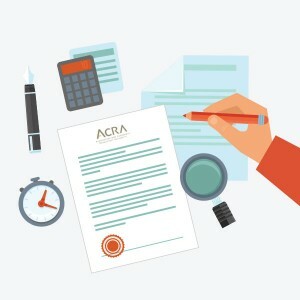 When a company is an EPC, it means that it is exempt from the requirement to prepare and submit the audited accounts of the company to ACRA when it submits its Annual Return. However, it is still required to comply with the statutory requirement to hold its AGM. *For companies that are part of a group, the entire group must qualify as a small group, i.e. it needs to meet at least two of these criteria on a consolidated basis for the immediate past two consecutive financial years. In addition, there may be specific requirements set out in your company’s Memorandum & Articles of Association (“M&AA”), which will dictate how your company’s AGM should be held. Examples of such requirements include the minimum notice period for shareholders (typically this is either 14 or 21 days). Ideally, do read your company’s M&AA in full, together with the Companies’ Act. Alternatively, you may wish to seek the advice of a professional corporate services provider, who would be able to advise you accordingly and assist in sending reminders to the relevant parties involved. Post-incorporation, a company may decide for business or administrative reasons, to change its financial year end. For newly incorporated companies that have yet to hit the 18 month deadline from the date of its incorporation, any change in the financial year end will have no effect on when its AGM is due. For companies that have already held their first AGM however, the financial year end of the company may impact when its AGM should be held, in accordance with Section 201 in the table earlier. However, companies should ensure that it complies with both Section 175 and Section 201 of the Companies’ Act when deciding the date of its AGM, whichever deadline falls earlier. For the change in financial year to take effect, the company would need to notify ACRA via the electronic portal known as Bizfile. To access Bizfile, one would need to have a SingPass and be appointed as an officer of the company (i.e. director or company secretary); or be recognised as a filing agent before making the relevant notification with ACRA. In addition, the company or its professional corporate services provider will prepare resolutions in writing for the directors of the company to note and approve the change in the company’s financial year end. Composition sum for breaches of s175 and s201 ranging from $60 to $350 per breach, payable at the time of filing. Composition sum for breaches of s175 and s201 is $300 per breach, payable at the time of filing. Where a company fails to hold the AGM and the AR is not filed, a summons may be issued against the directors of the company to answer to breaches of s175 and s197. *Composition is offered, on a case-by-case basis, based on ACRA’s prosecutorial discretion. Offer of composition* totaling $600 (ie. $300 for each breach of s175 and s197). Offer of composition* totaling $1,800 (ie. $900 for each breach of s175 and s197). 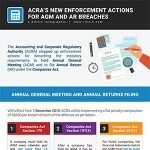 To know more, read our infographic on the new enforcement actions by the Accounting and Corporate Regulatory Authority (ACRA) for breaching the statutory requirements to hold Annual General Meeting (AGM) and to file Annual Returns (AR) under the Companies Act. Depending on the circumstances, your company may only need to make an application under one Section. A professional corporate services provider would typically be able to advise the company on how it should proceed to do so. 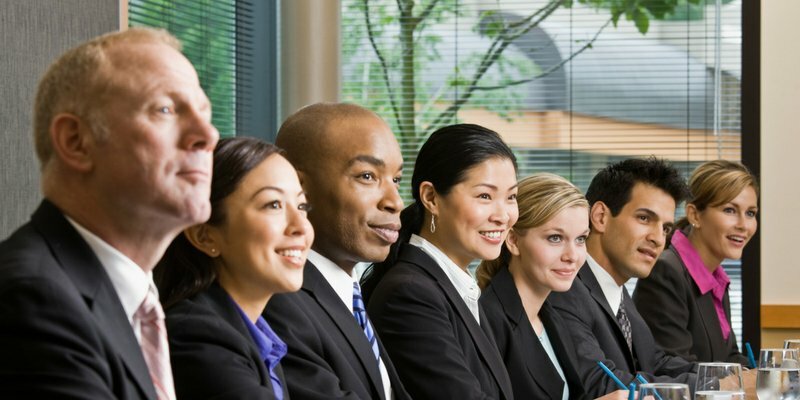 In short, holding a company’s AGM is a process that not only includes multiple parties, i.e. the company’s auditors and / or finance team, directors and shareholders, but also requires sufficient knowledge of the Companies’ Act and the company’s M&AA. Given the seriousness of defaulting on the requirement to hold their AGMs, most companies do prefer to engage a professional corporate service provider, which will ensure that the company is regularly updated and reminded of its statutory requirements. By doing so, the directors, employees and shareholders can rest assured and focus on driving the company’s business and running its operations. We are experts when it comes to Singapore's company laws and regulations. Thousands of companies rely on us to fulfil their annual statutory requirements.